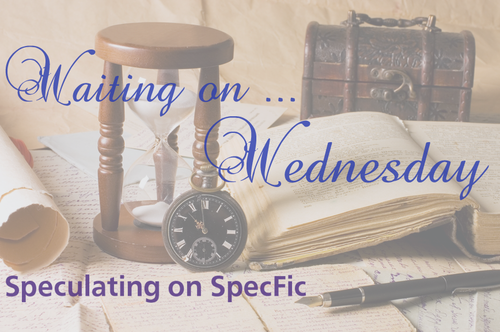 Waiting on Wednesday is a weekly meme hosted by Jill at Breaking the Spine that allows readers to showcase eagerly awaited upcoming releases. World-hopping, high-action adventure starring a smart boy with computer skills and a tough girl who pilots a blimp. 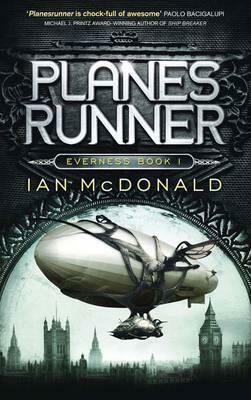 The airship Everness makes a Heisenberg Jump to an alternate Earth unlike any her crew has ever seen. Everett, Sen, and the crew find themselves above a plain that goes on forever in every direction without any horizon. There they find an Alderson Disc, an astronomical megastructure of incredibly strong material reaching from the orbit of Mercury to the orbit of Jupiter. Then they meet the Jiju, the dominant species on a plane where the dinosaurs didn’t die out. They evolved, diversified, and have a twenty-five million year technology head-start on humanity. War between their kingdoms is inevitable, total and terrible. Everness has jumped right into the midst of a faction fight between rival nations, the Fabreen and Dityu empires. The airship is attacked, but then defended by the forces of the Fabreen, who offer the Everness crew protection. But what is the true motive behind Empress Aswiu’s aid? What is her price? The crew of the Everness is divided in a very alien world, a world fast approaching the point of apocalypse. 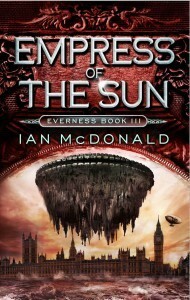 London born 14-year-old genius Everett Singh hops across alternate realities in an airship called Everness, captained by the formidable Captain Sixsmyth and her adoptive daughter Sen, to try and rescue his physicist father who uncovered the technology to open gateways between worlds. 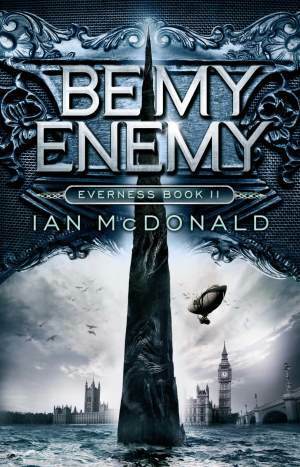 The Everness series has to be one of the best examples of quality, rivetting YA Science Fiction I have ever read, and anyone who loves the SFF genre will undoubtedly be impressed by it. I love the diverse characters, the amazing alternate worlds the author takes us to, and the focus on awesome technology (quantum theory in Planesrunner and nanotechnology in Be My Enemy). I like Everett because his Punjabi heritage doesn’t define him, but nor is it ignored by the author and only mentioned as a quirk to make him seem ‘exotic’. I can’t wait for the next volume in this series, I think it’s going to rock! I’d love to see what you are waiting on … please leave links and I’ll be sure to check them out! Awesome pick, as usual. And I love that cover! hope you can stop by my WoW. I have reviewed 1 books so far this year. Copyright © 2019 Speculating on SpecFic. Tweak Me theme by Creative Whim. No part of this website, including but not limited to the text, images, and design, may be copied or reproduced without permission. The opinions expressed on Speculating on SpecFic are my own and do not reflect those of the author, publisher, or anyone else associated with the works reviewed.